Feeling wistful for your childhood lately? Wanting to instill a little more magic in your life? Wishing you could float away in a hot air balloon to your favorite fantastical faraway land? Have we got a costume for you! 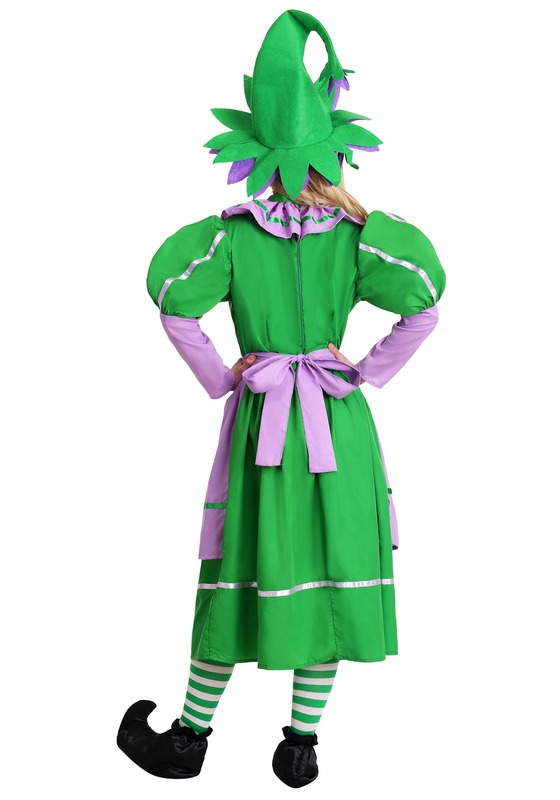 You’ll turn from your usual Monday to Friday Marketing maven persona into a classic costumed cutie from the enchanted world of Oz just by putting on this Adult Munchkin Girl Costume! Don’t believe us? Just ask Dorothy! Oh, wait, she took off a while ago on that long winding road of yellow bricks. You’re free to follow her! You can likely catch up to her in that field of poppies. On the other hand, you could just take our word for it and save yourself a whole lot of trouble. Then you could use all that spare time to dive into a whimsical world of lullabies and lollipops. We’ll leave the choice in your tiny, capable hands. Of course, even if this costume couldn’t whisk you off to Oz (even though we swear it can) it would still be super fun to wear to an office Halloween party or to a buddy’s big bash. 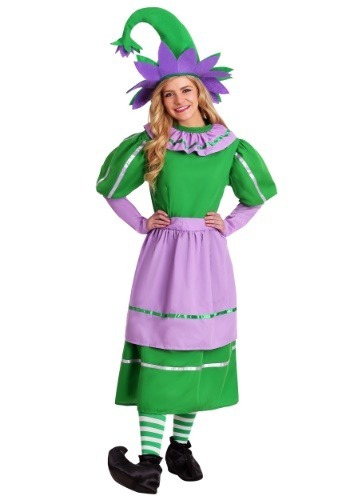 The green and purple dress and matching purple apron are the exact opposite of your usual boring business professional attire, and the hat...well...we’re guessing you aren’t normally seen sporting one like this! Add a pair of striped stockings and our (sold separately) shoes and you can take yourself way back into the dreamscapes of your childhood, all without missing that Monday morning meeting. You’re welcome!